If you’ve ever visited Georgia Aquarium, there’s a chance you have interacted with one of our amazing volunteers. We’re kicking off National Volunteer Week, and celebrating our volunteers all week long! 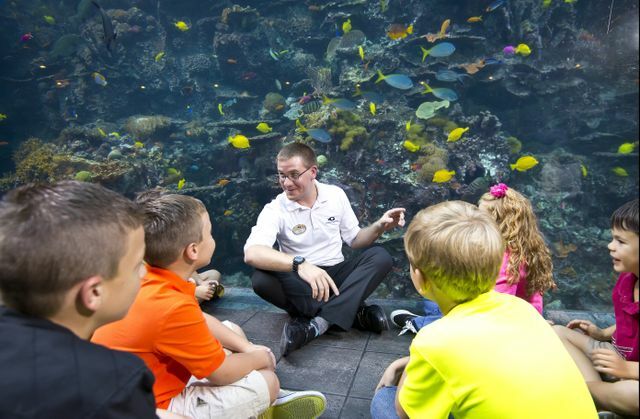 Since opening in 2005, Georgia Aquarium volunteers have contributed more than 1.8 million hours caring for animals, educating and entertaining guests, and doing countless tasks behind the scenes. Volunteers are the heart of our organization. 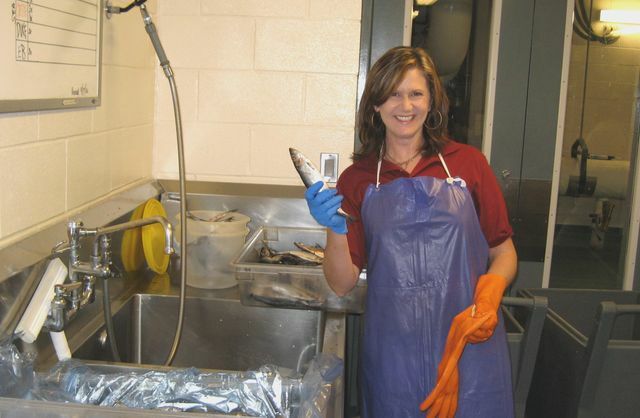 At Georgia Aquarium, there are more than 1,000 volunteers that are utilized in more than 20 different departments, including behind the scenes, water quality testing, animal care, diving and cleaning exhibits. Of those volunteers, 196 have been contributing their time for 10 or more years. So far for the 2016-2017 year, Georgia Aquarium volunteers have spent more than 125,000 hours helping keep the Aquarium running. 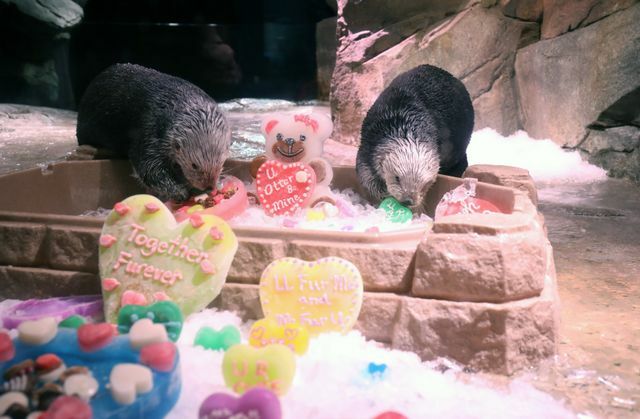 Georgia Aquarium offers several volunteer programs, each with their own benefits and opportunities. The Beginner Environmental Leadership Program is designed for current high school students age 15-17 who are interested in environmental conservation. The Military Volunteer Program is for current, retired, or veterans of the United States Armed Services who are looking to get involved with the community. The General Volunteer Program is for individuals age 18 and up who are looking to get involved at the Aquarium. Internships at Georgia Aquarium are for individuals ages 18 and up who are looking for experience and professional connections. Georgia Aquarium was fortunate to have 142 interns who contributed 60,875 hours across several departments for the 2016-2017 year. To learn more about an internship at Georgia Aquarium, please visit www.georgiaaquarium.org/internships. Georgia Aquarium’s sister-facility, Marineland Dolphin Adventure, and our Conservation Field Station, both in Marineland, Fla., also welcome volunteers! So far for the 2016-2017 year, Marineland Dolphin Adventure has 92 volunteers that have spent more than 6,000 hours volunteering, while our Conservation Field Station has 20 volunteers that have spent more than 210 hours offering assistance. Volunteers are fundamental to all three facilities, and we are so thankful to have such a dedicated, inspired, and hardworking team of volunteers. Don’t miss our National Volunteer Week coverage by following Georgia Aquarium on Facebook, Twitter, and Instagram using #NationalVolunteerWeek. To learn more about our Volunteer Program, please visit www.georgiaaquarium.org/volunteer.